What is the Grand Theft Auto V Game? Grand Theft Auto V (GTA Online) is an action-adventure video game developed by Rockstar North and published by Rockstar Games. It was released for PlayStation 3 and Xbox 360, PlayStation 4, Xbox One, and Microsoft Windows platforms. Grand Theft Auto V is an action-adventure game played from either a third-person or first-person perspective. Players complete missions—linear scenarios with set objectives—to progress through the story. Outside of the missions, players may freely roam the open world. What Can Grand Theft Auto V Money (Cash) Spends On? If players have GTA Online Money that have to spend some on snacks, weapons and armor, and players can speed this up by simply buying a cheaper yacht. How to Earn Money in GTA 5 Online game? Grand Theft Auto V Online Cash has always been important, but never more so than after the Executives and Other Criminals update. 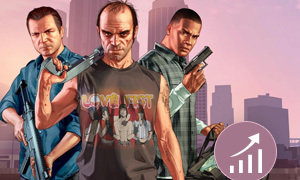 It won't be an easy road, but Joymmo.com has the GTA 5 Online guide to earning money will help you to make loads of cash as quickly as possible in GTA 5 Online. Any other Services are offering from Joymmo.com? Yes, they are. 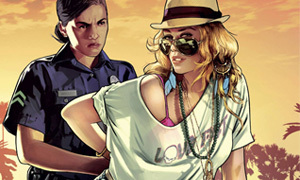 Joymmo.com not only sells GTA 5 Online Cash, but also offer GTA 5 Boosting, and GTA 5 Packages online. 24/7 Live Chat Online!